Over the last couple of weekends I’ve managed to get out for a couple of morning bike trips; from the first one I put some video together from the Hero2 mounted on the handlebars. There are three main routes – #134, the Pacific Coast road along Sagami Bay, the Toyo Tires Turnpike, a twisty mountainous toll road, and then the Izu Skyline Parkway, another long stretch of twisting roads with some great views of the coastline as it snakes south down the Izu peninsula. The second trip I met up with my old friend Colin, and his rather nice Triumph Daytona 955i, at Kawaguchiko lake after a 100Km ride up some normal roads and the Tomei expressway, and we meandered back homewards down the 413 Doushi road, another relaxing, scenic road through mountains and valleys, except this time we had to break out the rain gear. 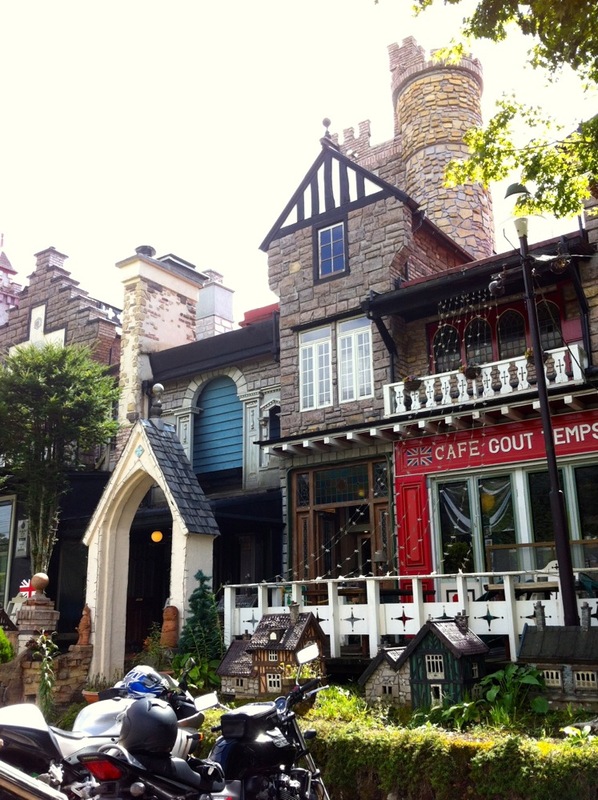 We also stopped off at Cafe Gout Temps which has to be seen to be understood – it’s a Japanese house with British castle and tea shoppe fascias bolted on, and crammed with authentic looking church pulpits, pub statues, doll houses and all manner of oddities. It serves a good avacado and mushroom pasta dish and some fine English tea as well.